Do you offer Blackpool Tower Dungeon Gift Vouchers? How can I book my tickets for The Blackpool Tower Dungeon? How old must you be to purchase a ticket for entry? Do you offer a senior citizen discount at The Blackpool Tower Dungeon? Do you offer a student discount at The Blackpool Tower Dungeon? 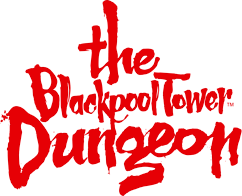 Do you offer a family rate for The Blackpool Tower Dungeon? Anyone under the age of 15 would need to be accompanied by an Adult aged 18+. Guest's aged 15 and over can visit unattended. Is there a gift shop at The Blackpool Tower Dungeon?